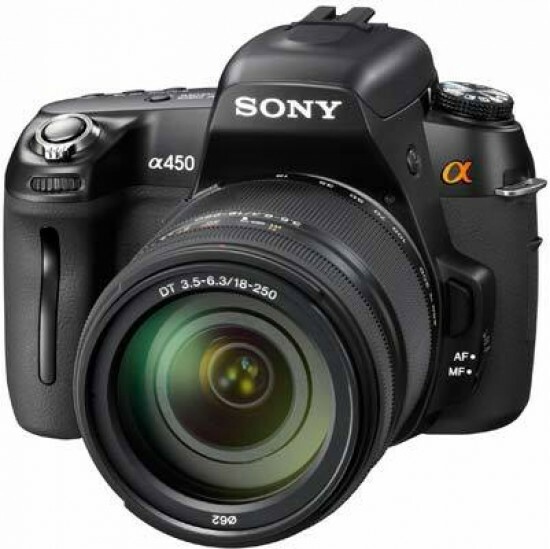 Reviews of the Sony A450 from around the web. Sony's latest Alpha model sits at the lower end of its mid-level range. Splicing together the speedy continuous shooting mode as found in the a550, but lacking the class-leading Quick AF live view from the rest of the Alpha range. Is this new model a fine balance of user demand at an affordable sub-£500 price-point, or more a play to further bulk out the Alpha range to tempt potential buyers by Sony's sheer mass-presence in the marketplace?